I know tofu can be a challenging ingredient to many people, but I defy anyone not to be totally converted to its delights after eating this fabulous dish. This is an adaptation of a recipe from Yotam Ottolenghi’s fabulous veggie cook book ‘Plenty’. I think he describes it as a go-to crowd pleaser, and I have to agree. There is certainly NO WAY you could eat this dish and still think that tofu is bland, boring and best avoided. When I make it for the kids I seriously cut back the spices and pepper, and my version is already pared back from Ottolenghi’s original…. his is seriously hot, spicy and peppery. Try this and you’ll certainly come back for more. – Heat the oil in a large frying pan. – Remove and drain on kitchen paper. – Wipe out the pan. – Add some fresh oil along with the shallots, chillies, garlic and ginger. Saute until soft and slippery. – Add the balsamic, soy sauces and sugar. Stir to dissolve the sugar. – Stir in the black pepper. 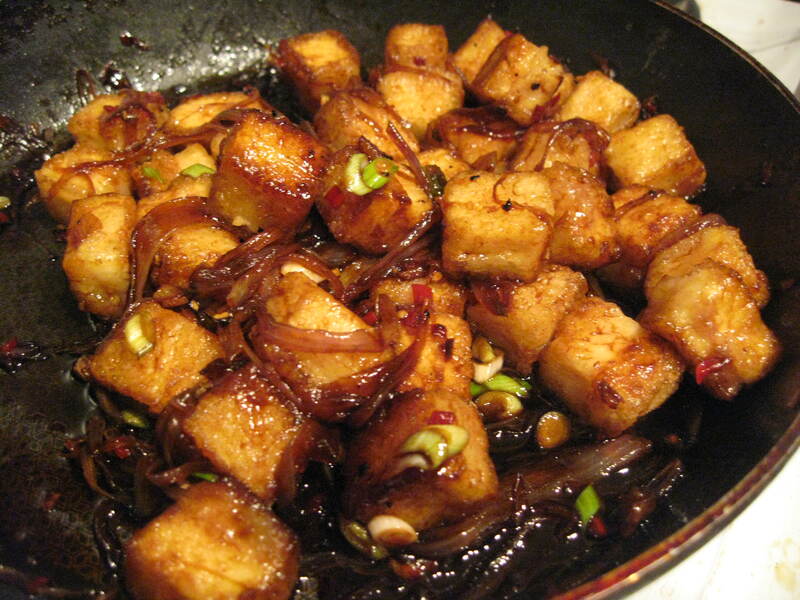 – Place the tofu back in the pan with the sauce and stir to combine and warm through. – Serve over plain rice and garnished with the spring onion. Never understood people who thought tofu was bland, I’ve always loved the stuff. As a kid, I’d steal the cubes before my parents had a chance to even cook them… This dish looks delicious. I’ll definitely be trying it. 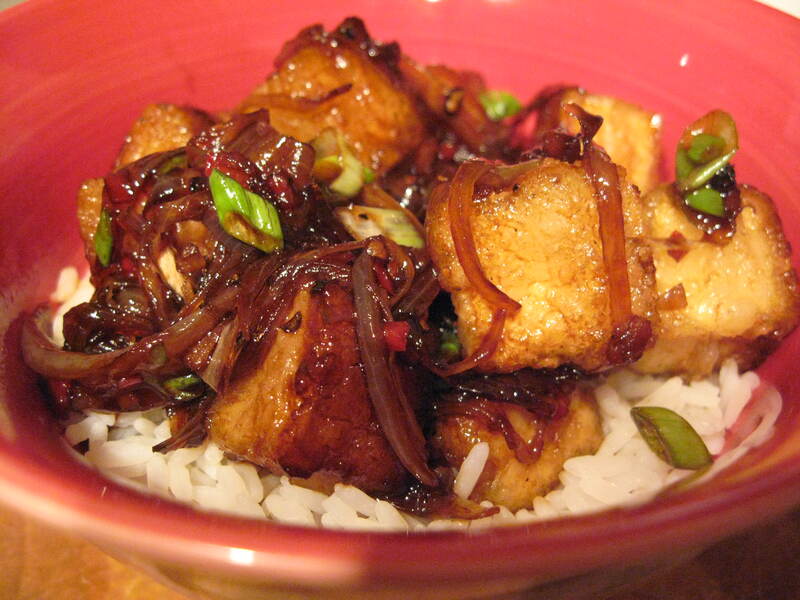 I’m a fairly recent tofu convert – if it’s cooked well it can be awesome. Do try this one, it’s yum! That coating sounds really good! it’s def worth giving a go!